Snoring vs Sleep Apnea: What's the Difference? Close to 50% of couples say they live with a partner who snores too loudly for them to be able to get to sleep. 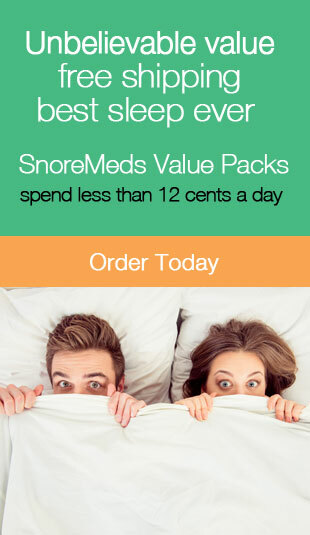 But there’s a big difference with snoring vs sleep apnea. Although one often leads to the other. What should you do if know you’re keeping your partner awake — or if you’re struggling to sleep yourself — because of loud snoring? But what is sleep apnea? If you do have it, what can be done to keep it under control? And if you feel that your issue is mainly snoring alone, what steps should you take to correct the issue? Keep on reading this post on snoring vs sleep apnea to find out how to get a good night’s sleep again. If you want to understand the difference between snoring vs sleep apnea, you first need to know what the latter is. A study by the American Sleep Apnea Association found that there are close to 22 million people in the USA alone who suffer from the medical condition. However, the same study also found that many people living with sleep apnea remain undiagnosed. This is a serious issue, as sleep apnea carries many serious risks. These include diabetes, intense headaches, a higher risk for heart failure and stroke, and even an increase in your blood pressure levels. In a nutshell, it’s when your breathing stops and starts while you sleep. Over the course of a single night, you can actually stop breathing several hundred times. This cuts off the oxygen supply to your brain. It also leaves you feeling exhausted — even after a “full” night’s sleep. It’s important to understand that there are actually two main kinds of sleep apnea. The first is called “central sleep apnea.” Here, your airway isn’t actually blocked. Instead, your brain isn’t sending the signals your body needs to remember to breathe while you’re asleep. The second and most common kind is called “obstructive sleep apnea.” Here, your airway is completely blocked by soft tissue located in the back of your throat. It’s important to note that only a doctor can diagnose sleep apnea, usually after a sleep study. This is a test run in a hospital or sleep study center. You will spend the night attached to a machine that monitors your sleep for signs of apnea. If diagnosed, the most common form of treatment is a CPAP machine. Now that you have more of an understanding of what sleep apnea is, let’s talk about some of the most common causes of it. The truth is if you’re overweight, you’ll be at a much higher risk for developing sleep apnea. Nearly 40% of Americans over the age of 20 are obese, so it’s an incredibly common cause of sleep apnea. In younger patients, having an extreme overbite or even large tonsils may make you more likely to develop sleep apnea. People with Down Syndrome are also more likely to deal with this condition. Additionally, those who have hypothyroidism or even certain types of allergies are at a higher risk of having sleep apnea. The same goes if you’re a smoker, or if you take sedatives. Even a high alcohol consumption can make you more likely to develop sleep apnea. It’s important that you also understand the symptoms of sleep apnea. While no one except for a medical professional can diagnose you with this condition, knowing these symptoms may cause you to go get checked out. In addition to loud, incessant snoring, there are a few others signs to watch out for. You may find that you often wake up in the middle of the night gasping for breath. Your partner may tell you this, and mention that you seem to stop breathing while you sleep. You might have serious headaches in the morning, have dry mouth when you wake up, or just feel exhausted throughout the day. Now, let’s talk about the differences between sleep apnea vs snoring. When you snore, you don’t actually stop breathing, as you do with sleep apnea. Snoring is a vibration in the back of your throat, your soft palate, and the uvula. Both snoring and sleep apnea are certainly annoying, especially for your partner. They carry different health risks. Snoring can subject you to fatigue and drowsiness, affect concentration and make you susceptible to weigh gain that can lead to sleep apnea. Sleep apnea not only carries those same risks, but untreated, sleep apnea puts you at risk of stroke, heart attack, heart failure and diabetes among other things. If you suspect that you’re dealing with little more than snoring, there could be several reasons why it’s happening. You might be dealing with allergies, or, as with sleep apnea, need to lose weight. You may be sleeping in an uncomfortable or complicated position that actually blocks your airways. Now, let’s look at what you can do to stop snoring. The good news is that there are a few more things that you can do on your own to stop snoring before you get sleep apnea. Let’s take a look at a few of the most effective ways to make snoring a thing of the past. You may need to invest in a new mattress or pillow, or you might just want to change your sleep position. One or more of these suggestions may be just what you need to learn how to stop snoring for good. The first thing you should do is to take a hard look at your current sleeping position. If you sleep on your back, you’re much more likely to snore. This is because your neck will put more pressure on your throat, making it much more likely for an airway to be blocked. So, what’s the best thing that you can do to ensure your airways are open while you sleep? In most cases, it’s to start sleeping on your side. Of course, we know that it can be tough to change your sleep position. You may even unknowingly roll over onto your back again in the middle of the night. You can look for pillows that are designed to help you to sleep on your side and stay there. Additionally, you might also want to make a pocket on a sleeping teeshirt’s back. Put a tennis ball in the pocket, close to the spine. This will encourage you to stay off your back throughout the night. See our reviews of anti-snoring pillows here. Another option is the Smart Nora. This is a device that you place under your pillow and when it detects snoring, it will gently adjust the height of the pillow until the snoring stops. It actively listens for signs of snoring and continually adjust your pillow without any intrusive devices on your head, nose or mouth. We’ve already spoken a lot in this post about how your physical health and weight impacts your sleep at night. What can you do in addition to hitting the gym and putting down the cigarettes and alcohol? Try not to eat huge meals that are high in sugar close to your bedtime. They can wreak havoc with your digestion, which can make sleeping well tough. You should also steer clear of dairy right before bed. Dairy products increase mucus production, which can easily block your airways and cause you to snore. Finally, make it a point to drink plenty of water before bed. This will stop mucus from forming and will ensure that you don’t get dehydrated. Another awesome way to stop snoring at night? Take a hard look at your current pillows and bed. If possible, make an investment in an adjustable bed. This will make it easier for you to sleep on your back at night. When you use an adjustable bed to improve your sleep position, you’ll be much less likely to have to deal with blocked airways. You may also want to get an anti-snoring pillow. This also helps to keep your neck aligned, and actually forms a straight line all the way down your body. This prevents your chin from dropping down as you sleep, blocking your airways. If you feel like bedding alone isn’t enough, you can also look into wearable anti-snoring devices. These will also work to keep your airways free and clear while you sleep. In some cases, you may even be able to get these anti-snoring devices perfectly molded to your individual mouth. We hope that this post has helped you to understand the differences — and consequences — of snoring vs sleep apnea. Remember that, if you suspect you may have sleep apnea, getting medical help as soon as you can is essential. If you snore as a part of sleep apnea, or if you’re struggling with “simply snoring,” there are solutions for you, too. We’re dedicated to helping you find the most effective ways to stop snoring. We review the top anti-snoring products, pillows, mattresses, and even adjustable beds. When you’re ready to sleep through the night, let us fill you in on the products you need to make it happen. As always, we hope you found this article on snoring vs sleep apnea both informative and entertaining. If you did, may we ask that you share it with family and friends on social media, it really helps us out a lot and is greatly appreciated! Mouth Device for CPAP for Sleep Apnea: Which is Right for You? The most common treatment for mild to moderate obstructive sleep apnea is a CPAP machine. Though, another viable option is a mouth device.